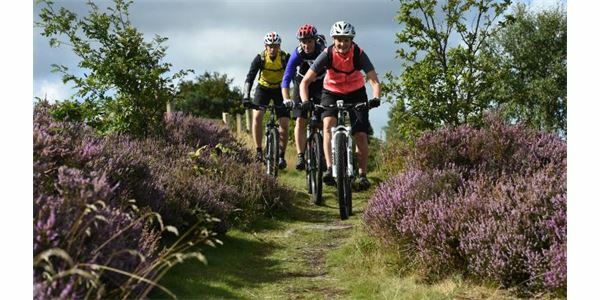 Various outdoor recreation organisations including British Cycling have recently written open letters to Environment Secretary Liz Truss and Welsh Environment Secretary Lesley Griffiths calling for people on bikes to have responsible access to more public paths in the English and Welsh countryside. It is currently illegal for people on bikes to access the majority of the countryside in England and Wales due to public access and rights of way laws. At present, less than a third of the 140,000 miles of public paths are accessible to cyclists. This is also limited access to the three million acres of Open Access Land or the 2,800 miles of newly created coastal access for cyclists when compared to walkers who have free and open access to use all of this land. A British Cycling commissioned poll by YouGov has today revealed that almost two-thirds of people do not know that they are not allowed to cycle on the majority of public paths in the countryside. The majority of people also believe they should be allowed to cycle on them. In Scotland, the Scottish Land Reform Act, brought in in 2003, has proven that responsible access by people on bikes is sustainable, manageable and highly beneficial to tourism, health and the economy. Research has shown that mountain biking grew by up to 10% from 2011 to 2014 and is worth £49.5 million per year to the Scottish economy.